The Multiple Languages add-on is only available in the premium versions of the plugin. 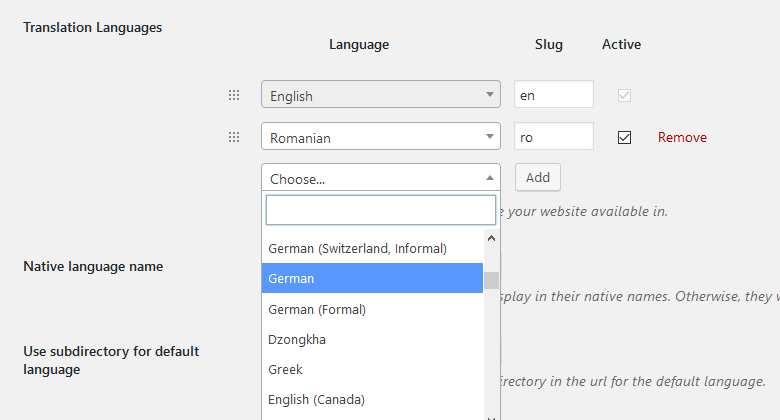 Multiple Languages Add-on allows you to add as many languages as you need to your WordPress site. You can select from a list of 221 secondary languages. This addon also gives you editorial control over each language, allowing you to publish a new language only once everything is translated.